Apparently CCP reads Eveoganda huh?! I'm a "concept" guy, a Creative Director at heart, have been my entire life. Even before I knew what it meant. Big picture guy, not so much about the annoying details. In my opinion, if the concept is solid, then we can find a way to make it work. The details are bendable, they always are, the important thing is to stay on track. To establish purpose, goals and strive to mold them towards a successful application. How do I know the Bounty System is broken? Take me for an example. I'm a -10 scum sucking Pirate with no bounty on my head. I rarely have a bounty on my head. Why? ( Besides the fact that I'm so nice and handsome and incredibly awesome I mean. ) Because the current system relies on players. Talk about the potential for abuse. Not to mention neglect, balance, and other potential issues that make it a worthless system of random approximations and opinion based on nothing more than instantaneous tears usually. And that relies solely on the destruction of a player's pod, and not on his ship. I readily admit that the "Pay Per Kill" concept is not 100% workable. But that is only in context of current game mechanics, which I believe are broken. Which is funny, since almost everyone agrees that the current insurance - bounty system is in desperate need of some attention. In fact, it wasn't the bounty system that inspired the "Pay Per Kill" concept, it was insurance. All I know for sure is that it should be possible to maintain a decent income stream from purely pursuing a PvP based play-style. To me this doesn't seem that far off the track considering Eve is, despite what some might think, a PvP based game. Call me crazy. And right now that choice is extremely difficult. But not impossible. I've been doing it for two years now and maintain a decent average wallet that generally keeps me in ships and mods. So this isn't a personal issue so much as one that needs addressed for the general population. My hope is that the "concept" moves forward in one form or another. I couldn't care less if the details remain, or if some other idea gets implemented. But the current system is not working. This is probably my last post about this. Time to move on to something else. Objective: Establish a "Bounty" system in which the destruction of criminal ships is rewarded equally to those that participate in its destruction. Goal: ( Drop + Insurance + Reward ) must equal less than the in-game market value of the destroyed ship. Qualifying Ships: Any ship flown by a pilot with -5 to -10 Sec Status. Excluding Rookie Ships and Pods. • Destroyed Value - The established in-game value of the ship minus the module drop as shown in the Combat Log. • Victim Sec Status Multiplier - A value between 2 and 5 that increases the lower the victim sec status. A -5 victim has a value of 2 and a -10 victim has a value of 5. • Kill Participants - The number of pilot on the kill mail, including NPCs. 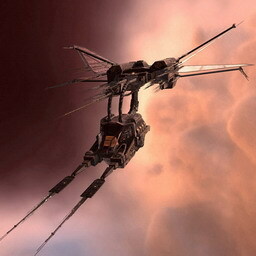 Example: A pilot with a -10 sec status losses a ship valued at $100,000,000 ISK in a -4 System to a group of three pilots. Destroyed Value (100m) x 5 x .05 = 25m / 3 = 8.3m ( Converted to LP/ISK ). On average the return on value is around 5-12%, depending on the number of participants. The lower the participants the higher the return. In the above example, a solo pilot would have received 25m in LP value from the kill (25%). Conversely, a blob of 20 pilots would have each received 1.25m each (1.2%). Exploit Defense: Even a scenario in which the above example involved alts and maximum insurance and loot/salvage would return a value lower than the cost of the ship + cost of insurance. Increasing protection could be achieved by maximizing the percentage return, in other words establishing a CAP of say 15%. So the solo pilot in the example would get a CAP reward of only 15% instead of 25%. Limitations: I am no expert at LP Rewards, I admit that. So some tweaks can be assumed to be needed in that regard. 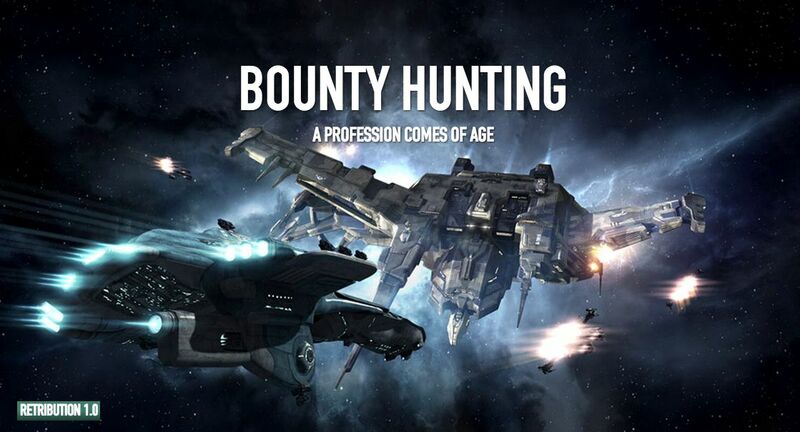 Once again, this is a CONCEPT of establishing a working Bounty System that rewards pilots for PvP against known criminals in space. And of encouraging combat in a combat based game. Thoughts and comments appreciated as always. UPDATE: This is now a thread on the forums. Go and support it or tear it a new one! My play style in Eve doesn't pay much. Oh sure, I can grab loot and re-sell it on the market - although more often than not I either keep it for myself to use, or there are fifteen enemy ships around waiting for me to try and take it - and while that is sometimes enough to pay the bills it isn't really enough to consider "income". So most people are forced into running missions, plexing, joining FW alt corps, trading, running mining ops, y'know the usual stuff people do to make iskies in Eve. None of which I have a personal issue with, more power to you. I used to do that stuff as well back when I had more time to play. But that isn't the issue, play time, the issue is it should be possible to make an "income" in Eve simply from doing what I like to do. Shooting ships. So I'd like to propose a system in which I get paid for doing that. The system I am proposing is a simple one. Negative status pilots are supposed to be criminals, people who have crossed the law and aren't allowed to do some of the things people with positive sec status are allowed to do. Depending on how low your status is, the less you can do. I happen to be -10 and can't even go into a hi-sec system at all, unless it's in my pod. I'm a criminal according to Concord and all four signatory Empires. You'd think they'd want me dead. 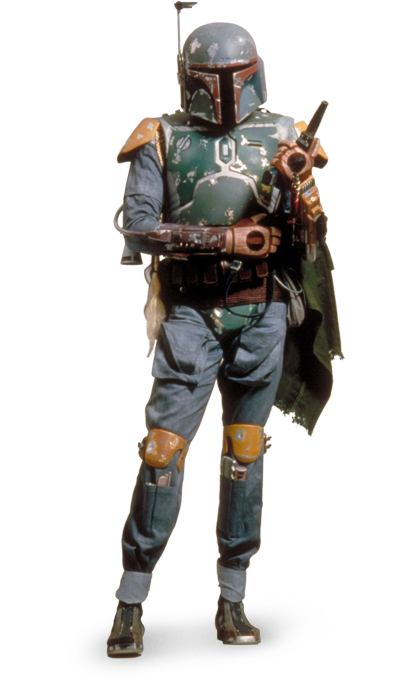 Bounty Hunter mechanics have been proposed for years, but what I am suggesting isn't exactly a BH mechanic. What I am suggesting is a Universal Sec Status Mechanic (USSM) that functions in much the same way as the Shooting Rats in a Belt Mechanic (SRBM) we have today. In other words, to make it even easier, every time anyone with a negative sec status is exploded someone gets rewarded from CONCORD. How does it work? Simple. Sec Status becomes a base multiplier against the base value of the kill. Exploding a -10 pilot's ship means the base value of his ship gets multiplied by 10x, divided by the CONCORD Index and then divided amongst the pilots on the kill. Base values of ships are already calculated by Eve and incorporated into the new combat log. Let's use an example: This Vagabond kill from the other day. The Vagabond loss netted $185,073,726 Isk ( we don't count the drop obviously ), and let's assume for the moment that the pilot was -9.5 Sec Status. 9.5x185m = 1.75b divided by Concords 95% tax = $18,507,373 / 3 pilots on the kill - so each pilot would receive $6,169,124 Iskies in reward monies. Another example: This super expensive Tengu kill. This Tengu was crazy expensive, so let's see how the math works out. $1,740,553,063 destroyed. Yikes. Let's do the math, I'll wait. Oh and let's assume the poor pilot was -4 sec status. I get $6,962,212,252 as the multiplier, then 95% tax makes it $87,027,653 divided by four pilots on the kill and each pilot would get $21,756,913 iskies. Which seems to me like a fair shake on an awesome kill. This system is universal, so any negative sec status pilot that is exploded rewards whoever kills it. No exceptions. The rewards are not huge enough to promote miss-use really, but of course some idiots will try to exploit it. And it effectively rewards people for killing criminals and engaging those criminals, which is exactly what those criminals want you to do. It is possible that I am missing something, but it seems like an idea that works for everyone. It rewards the exploding of negative sec status ships and not positive ones. We already have a system that punishes those. Negative pilots want more fights and now other people have a reason to give them more fights. It would be possible, given loots and rewards, to make a decent living doing nothing but fighting. And that's the whole idea. Like quicksand under our feet the Eve universe just keeps changing and changing. Remember last year when everyone was railin' on CCP to focus on Spaceships? Seems almost funny in hindsight. I for one support the continued expansion, alteration and modification program known as Tiericide. From my little corner of the universe it means I'm fitting and flying ships I honestly never thought I'd seriously consider. A Tormentor? Seriously? Slashers, Mallers, Merlins, the hanger keeps growing with more and more ships every day. And that is a good, fun and exciting thing. I haven't written much about ASBs and other changes that have hit the game. The reason is simple, I'm not sure yet. My opinion keeps changing on me. Maybe I'm waiting to see what this Winter brings first? Or maybe the changes this year have been so profound, that it is almost impossible to be sure. Shaking things up is good, but it does feel like we're walking on quicksand these days. All 1v1 Eve Comics are collected here. So far the Slasher Project has been going pretty well. I'm 24-3 in the ship since I started flying it a few weeks ago. I've been trying out some new fits and the ship has some excellent flexibility. Although it does also have its limitations. But gosh darn it, they are so cheap! My third loss the other day left me without any in the hanger, so I went out yesterday in some other ships. A Dramiel ( killed a Vagabond with some help from fellow Tuskers ), a Tormentor - didn't get any fights, and a rail Taranis I had laying around. I did manage to solo an Incursus with the Ranis, although it took bloody forever. I admit to testing different ammo types on the poor guy, so that made the fight last longer than it should have. I didn't even release my drones until half-way though the fight. So then back home. Before I docked up though I figured I'd go thru Jov and into Lisb to see if anyone was about. I noticed Red was in Lisb local chasing a Slasher so we hooked up to see if we could catch him. I'll let Anabaric tell you the rest of that story. You can read his account HERE. Either way, it was a good fight and well fought. Another gem yesterday. The Tusker CEO Ka Jolo has a blog and way back in 2008 he wrote a post describing his desire to start a new Corporation. Worth a read. Until next time. See you in space. I fight a lot. Which means I die on average once every four fights. I'm working on improving that average, it has actually been much better lately, but you get the idea. I kill people but I also explode from time to time. 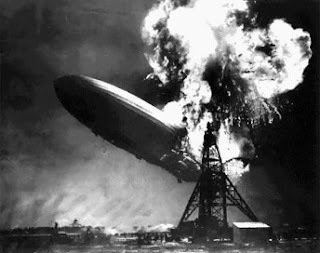 Usually when I explode it isn't always because the other pilot is better than me, although that certainly does happen. More often than not however, it is because I screwed up somehow. Made a mistake. And while I do try and learn from my mistakes, it is easier to say it than to do it in Eve. Eve is horribly complicated and every situation is so different... it can get extremely frustrating. But that is a huge part of the challenge isn't it? I've noticed that the mistakes tend to fall into some rather obvious categories. So here are a few of them, and my thoughts about why they happen. Dictating range is one of the fundamental mantras of PvP. We often fit Webs to ships that really don't need a Web simply to be able to "dictate range". The sheer amount of variables involved in actually, really doing this in the heat of combat is mind-bottingly difficult. In most cases you have only a few precious seconds to determine and plan for your attack profile, based simply on experience and situational awareness. Ok, so what does that mean? Yesterday I attacked a Harpy in my Slasher. This might be seen as extremely foolhardy on my part. But the other pilot was only a year or so old, was in a FW thingie and might not even have guns. I knew he probably did have guns, but that was simply a guess on my part. But which guns? Rails or blasters? Knowing the answer to that question was the difference between a kill and a loss. But I wouldn't know until the last possible second. So I loaded long-range ammo and decided to start out high. The only problem with that strategy? Sure I got lock and point, but I couldn't kill him from that range. So, disengage or fight on? I probably should have run. But instead I loaded up close range ammo and went in for the kill. That was a mistake. Although it was close. Picking the wrong ammo for your engagement can lead to bad side-effects. I know my ammo like the back of my hand, what each is good and bad for. Any decent pilot does. But that doesn't always matter a hill of beans in actual combat. Despite thinking the other guy is armor fit, he might just be shield fit after all. BOOM, ok guessed wrong again. Or you could be killing a small ship with Javelin missiles and then a bigger ship lands, which if you would've had Rages loaded would've also died. So you miss a kill because you rarely have the time to re-load. Ten seconds is killer when you are toe-to-toe. This is also a place for a boo-boo, should I re-load or just continue being largely ineffective in this fight? Proper ammo selection is a moment where lots of mistakes can happen. Nothing is worse than losing your calm, reserved exterior when under pressure. Just because that one on one fight suddenly turns into twelve on one, is no reason to throw your hands up and make some bone-headed decisions. Decisions that can cost you your ship. But panic can often lead to bad decisions or loss of focus, and that can be terribly unfortunate for you. This happened to me yesterday and I had a blast while using my cunning and superior knowledge to escape the blob. But this kind of calm under pressure has been hard won over the years. More often than not, I've made my own share of bone-headed panic decisions and lost ships that I shouldn't have. Stay calm, it is only a ship. And remember the most important thing about PvP in Eve, it is not always fair. In fact, most of the time it isn't. This one isn't much of a problem anymore. Not with years of experience, game knowledge and the world's greatest pirate corporation on my side. I still enjoy experimenting with my fits and sometimes doing things just to see how they work. That is part of the joy of playing Eve. More than anything however, this is a real problem for my opponents. I really shouldn't be killing some of the people I end up killing, they should be better equipped to weather the storm. But they often are not. For which I am eternally grateful, but I'm trying to be helpful here. Learn to properly fit your ship! Being a young player is no excuse. There are thousands of killboards out there just waiting for you to steal the best from the best. Find the good pilots and steal the fits from their losses. It is a cheesy yet effective way to at least get a leg up. A bad fit will kill you every time. A good fit will give you a fighting chance. There are more obviously, but my fingers are tired. The poor, sad, pitiful Moa. My fellow blogger Kirith posted a general rant against the CSM yesterday blaming them for taking time to fix the Vagabond and ignoring the vaunted Moa hull. The comments are especially humorous. 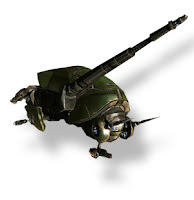 Then the blogging team of Indonesian migrant workers that call themselves "Jester" posted a rebuttal listing other ships in the Eve Cannon that are even more ugly than the Moa. Apparently this is all my fault. The ugly debate has been raging since I started playing Eve, and most likely it was going on even before then. And every single person that plays Eve has their own opinion about which ship is the ugliest. Moa, Rupture, Bellicose, Osprey, Slasher, Dominix... the list is long and varies from person to person. First, let me explain myself. I didn't go after CCP in regards to the Stabber/Vaga because it was ugly. I went after them because they unfairly circumcised the ship! The new design shows exactly what can be accomplished when design and legacy and common sense are applied. There was no sane reason to remove the Frill from the Vagabond. And now it is back. Or will be soon. Another common misconception amongst the general populace is that CCP is re-designing ships based on some evil plan they've hatched. The reasons are far-fetched and also vary from person to person, but these are all wrong-headed conspiracy theories. 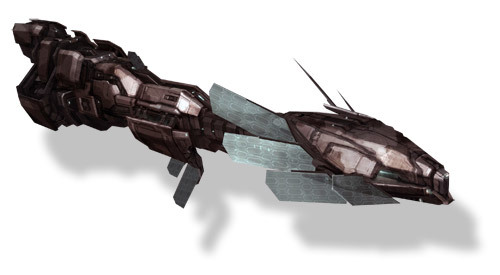 The truth is that CCP is re-designing ships cause the original designs are GETTING OLD. The original Moa hull was designed nearly a decade ago. The same holds true for almost every ship that makes anyone's list of the "ugliest" ships in Eve. These are old designs that, while they may have been ground-breaking back in the olden days, are getting a tad long in the tooth by today's standards. And not just by generally accepted design standards either, we are also talking about quantum leaps in rendering, shading and video card display technologies. 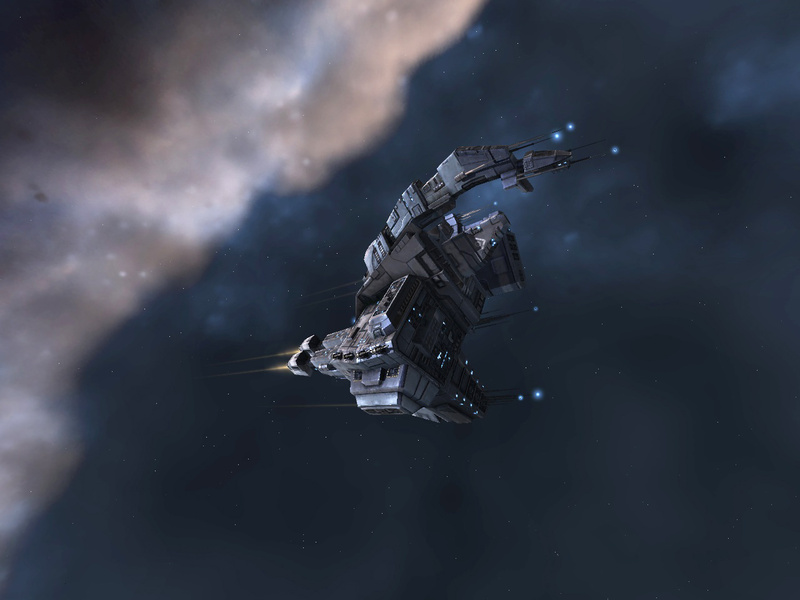 Is it the ugliest ship in Eve? I guess that depends on you. If you happen to believe that, then you also happen to be right. If you think the Megathron is the ugliest ship in Eve, then you are also right. The eye of the beholder sees beauty in what his eye sees. I happen to believe my Wife is the most beautiful woman in the world. The rest of you may have other opinions about that. But it doesn't matter to me. Not one single iota. But yes, the Moa needs updating. As does the Rupture, the Mega, the Domi, the Osprey, the Slasher, and about half the other ships in the Eve hanger bay. And I hope they get around to it sooner rather than later. And yes I will be watching. Every single one of those ships, while perhaps ugly to certain eyes, contains elements that make them unique and special. Those elements should be retained while updating the hull to a more modern and current standard. If they mess up or screw up, you can rest assured that I will be among the first to yell foul and do my best to make them fix it. Apparently I can be very persuasive. News has spread rapidly throughout New Eden of a recent Capsuleer discovery of a new System and a strange but beautiful steller phenomenon, which is rapidly becoming known as the Ring of Fire. Eveoganda is the first news source to receive confirmation of this discovery and spoke to Wormhole explorer and Capsuleer Morgan Bigbutte in Jita. "We were just probin' a new Wormhole, like usual," Bigbutte said from his Captain's Quarters in Jita, "we didn't expect anything unusual." He paused as if to catch his breath before continuing, "But the readings were off the charts, an exit hole unlike anything we'd seen before. It was massive. So we sent one of the younger pilots thru, y'know, in case it was dangerous..." He shakes his head and laughs to himself. "It wasn't long before we all went thru. The System we came out in wasn't on any of the charts... it's a new System." The System he speaks of has now been designated as VR-0912 and is located at the far end of Tribute. But the new System isn't the most exciting discovery. "The entire System is empty, nothing but blackness, except for a massive black hole devouring a Red Giant star... it is eating the Star from the inside... I've never seen anything like it in all my years." Caldarian Astrophysics Professor and Explorer Canton Hope explains, "From what we've been able to determine from our expedition, this is an 'exit gate', similar to the Eve Gate in many respects. But possibly the polar opposite in many important respects. We can't get closer than 100AU from the event, the tidal forces destroy our probes and rip them to pieces. But what we do know is the event is the largest we've seen since the Eve Gate." The 'event' which is now known as the Ring of Fire, has been taken up in a popular Capsuleer movement that is gaining widespread support from all four Empires as a memorial to fallen Capsuleer pilots. The Amarrian Empire has already issued an official declaration of support and it seems the Caldari might not be far behind. Although the Amarrian declaration contains much religious overtones, it is primarily a political document. Gaining Capsuleer support is critical to each of the Empires. 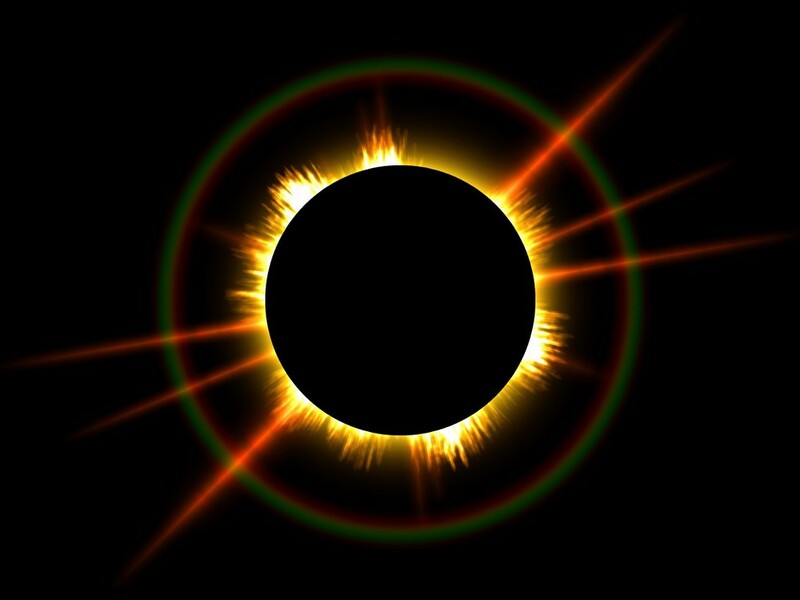 Wanton Disregard, the young Capsuleer who was the first to see the Ring of Fire, explains, "It is simply the most beautiful thing I've ever seen. It was almost a religious experience, you can't help yourself. I immediately thought about the friends I've lost, the immortals who will never return." Will the Ring of Fire become a permanent memorial? Only time will tell. Register your support for the effort to establish a permanent in-game memorial to ALL fallen Capsuleers, visit the Forum Thread and let your voice be heard. The Ring of Fire Project is dedicated to the creation of a permanent in-game memorial for all players that have passed away. 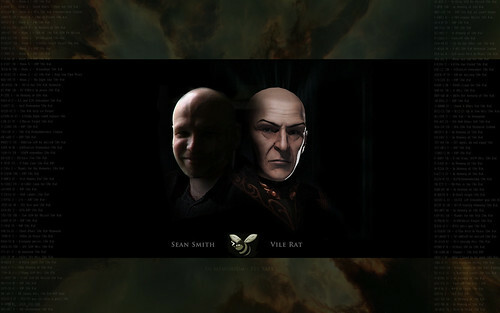 Inspired and dedicated to the memory of Sean Smith/Vile Rat, this memorial would represent all fallen Capsuleers. Which someday will include everyone reading this post. The forum thread is here, so please register your support or feel free to leave your own suggestions or comments. Understand that I am not solely advocating the creation of my own specific concept, although I have tried to present a well thought-out and workable plan. I would be willing to support any concept as long as it adheres to two basic tenets. I believe the idea needs to be simple in order for support from CCP to achieve our goals. The more complicated the less likely it is to succeed. I also believe it is critical that the concept fits within established game lore. In that regard, I suspect Capsuleer's themselves would want to create a place to remember those immortals that cannot return to space. Your thoughts and suggestions are appreciated as always. Thanks. PS: I re-did the ROF Video. The updated version is now above. This is now a FORUM THREAD Register your support / comments / thoughts there! The Eve community has responded amazingly well to this week's horrible tragedy. I have honestly never been prouder of my own association with Eve Online, CCP and my fellow pilots. What happened in Libya is nothing short of horrible and tragic and pointless violence. But, whatever the real world implications may be, we all have a virtual universe to live in. There have already been calls to memorialize VR in-game and I wholeheartedly support those calls. The ideas have varied from a perma-cyno in Jita to a Titan wreck in a meaningful zero space system. Again, these are all good ideas. And I would support them. But, I wonder. With a global player-base and around half-a-million players, the tragedy of this week seems almost inevitable. Something like this had to happen eventually. And as Eve continues to get longer in the tooth, such a tragedy is invariably going to happen again. And again. And again. This is in no way intended to take away from what happened this week, but it will happen again. For those of you young enough not to notice, we are all going to die someday. What I'm driving at here is nothing short of a permanent massive memorial to the fallen in-game. Something that fits within the context of Eve, the universe, lore, and conventional mechanics. If Capsuleers are the Gods of New Eden, then I think they deserve a God-like Memorial of significance. We humans, and I suspect Capsuleers as well, have historically erected large scale memorial systems to honor those that have passed away before us. I suspect that the future will not be all that different. Especially when it is an immortal Capsuleer that has passed into the great mystery. To my mind, nothing symbolizes the "great mystery" in New Eden more than the Eve Gate. It is where our ancestors came from and beyond which is nothing more than the great unknown. What I am suggesting is the creation of the opposite. A Great Ring of Fire on the opposite end of the universe from the Eve Gate. A dark hole that symbolizes the place where we go after death. The great beyond. A place where the mechanic exists to immortalize those Capsuleers of distinction that have left us forever. Not those that un-sub never to return, but those that have tied their lives in a significant way to our universe and that we know have left real life as well. A hall of heroes if you will, a Hall of Fame, a grand memorial to the fallen. I suggest inclusion in such a memorial would require action from the elected body of the CSM with final approval given by CCP. The details seem easy enough to imagine. Sean's passing has, I suspect, left us all feeling a little mortal this week. I know it has made me feel the years pilling on. Perhaps this is one way to give something special back to Sean and the others that will eventually take his side, on the other side. It is only another suggestion. As I said before, I'd support any memorial that happens in his honor. As always, I tend to think things through to their logical conclusion and how it impacts the game in the bigger picture. Maybe now is not the time. But, then again, maybe now is the perfect time. PS: I am aware that "Memorium" is actually spelled "Memoriam". I caught the mistake shortly after I had posted the image to Flickr last night. But by then the image had been shared on Twitter and various other sites, sources, emails, etc. Memorium, while not technically correct, is a common mis-use of the word. A horror film was even spelled that way. So, since yesterday was difficult enough, I decided to just let it be. P.P.S: The only photo I had access to of Sean didn't show anything below his chin, and not all of that. So my sincere apologies if the addition of a 'neck' to his image in any way detracts from the intent of the artist. I tried to tread very carefully here and considered not doing the image many times. But from the feedback I've gotten I hope it helps in even some small way. One of the great things about the Eve community in my humble opinion is the community in the Eve community. That piece of glorious concept art above is a shining example of that community in action. From the lowest ( but extremely friendly neighborhood ) blogger, to the CSM, to RvB, to my fellow Bloggers, to Stan and the amazing event, to EON, to the daring souls who allowed me to but Elizabethian Frills around their necks, those that wrote parody songs and Roc who let me use his music, and all those that helped from the sidelines... but especially to those at CCP that took my protest somewhat seriously and helped spread the word inside the walls. I'm not seeking credit or affirmation here. In large part my consternation over the removal of the Frill, at least initially, was the futility of the decision from a purely aesthetic design standpoint. It smacked me in the face like a fart, why? Why would someone remove a distinct legacy design feature from one of the most distinctly Eveian ships in the library? That was my initial reaction. As usual my anger manifested mostly in good humor. And I promised to continue mocking the decision until it was reversed. I quickly moved on to Stage Two, which was the realization that this seemingly minor infraction was in fact an extremely important water shed moment in our relationship with CCP. Could the player base actually effect positive change within the game? Since last Summer's events, CCP has made numerous statements that have led us to believe such a change would be possible. So why not test that theory over something as trivial as the wings on the Vaga? Why not indeed. The rest is available thru links in the FRILL SEEKERS page on the menu in the upper left sidebar. The most important thing is that image above. And the change that happened in one man's heart. It all comes down to one person eventually. And had he not paused and re-considered, we wouldn't be talking about this now. A huge thank you to CCP Huskarl for being that person. I hope someday we get the chance to meet in person and I can shake your hand and say thank you. But until then, I am lobbing those virtually towards Iceland even as I write these words. Finally, I couldn't leave it without a final word of caution. Eve is growing up. And as time continues to pass, let us not forget the past. Change is good and Eve will continue to evolve and grow. ( We hope! ) But as it does, let us not forget the legacy. Not everything needs to be buried in the dust bin of the past. The "frill" is the perfect example of how a legacy item can be honored. By respect and admiration, and a generous application of common sense. As is so often the case, real life > Eve. I can't finish this post without mentioning the horrific news this morning regarding SeanSmith > Vile Rat. So many others are writing of their personal connections and doing a better job than I ever could, so I will be brief. I spoke with him several times back in Providence. It was during the collapse of CVA/LFA/PXF in 2008 or 2009. I don't remember the specifics, but I was acting as diplomat and we were asking Goons for help against -A-. I remember that part and I remember Sean. Despite him being a Goon, he was always on my "good guy" list and personally neutral on my contacts. We did manage to work out an agreement by the way. So thanks for listening to a Noob try to be a diplomat. This horrible news strikes me rather hard. And it puts the rest of the game into its proper context. Especially given the time it happens to be. For me personally, this time is already significant in so many ways. And now this. My deepest and most sincere sympathies to his family and friends. I only hope that wherever he is today, that the ships fly free and reckless there. 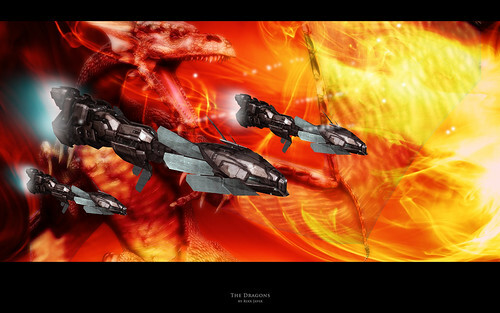 Concept art provided by CCP PairofDucks this morning shows the new Vagabond with FRILLS included! And not only does the frill return but the Stabber hull looks badass. For more on the Winter Expansion plans, read this. More to come, but for now rejoice 'o Frill Seekers! Rejoice. Since the advent of the current FW system mechanic I've been spending a good deal of time hunting those that participate. Mostly solo or with one or two other pilots. At first I was trying this with Merlins, Ishkurs, Rifters and other frigates and AFs - to limited success. In order to counter something you really need to understand it. Since this "orbit without guns" thing really got up and running, understanding how to catch something usually about 75-150k away from you was a bit of a stumper. For awhile I had some success using the Daredevil. But after losing a couple of them, what was needed was a cheaper solution. A properly fit Daredevil can be rather expensive for the poor Pirate. What else would work? What was needed was a ship that could go extremely fast, lock from range, deliver decent dps and have a mildly tolerable tank. But also have the amazing ability to GTFO if needed. I remembered a fight I had a few weeks before. My Daredevil caught a Slasher in a belt over in Jov. I managed to kill the frigate but the fight was far from an easy one. Maybe a Slasher would work? Since that decision I'm 16-0 in the ship. And that doesn't count the numerous fights that I've gotten into that suddenly turn south and have gotten away from. Sometimes another ship shows up to help his buddy, or sometimes the ship is bait and fully prepared to fight it out. And sometimes it is just a wee bit over your class. Just yesterday I went toe to toe against a Daredevil in my Slasher. I would've killed him had he not managed to get away. Managing that engagement was tough and I lost point for a brief moment and he slipped away. But I almost got him. In a Slasher. The ship is especially good at catching Gal Militia, since we have a lot of those around it works well in my neighborhood. The Incursus is my favorite prey, but Catalysts are also good targets. I haven't had a chance to try it against a Rifter yet, but generally speaking you want to steer clear of Merlins. Outside of FW I mean, inside everything is a target. I'm not going to share my fit, but you should be able to figure it out. It is rather simple and straight-forward. Guns in the highs. Long point, Scram, tank and mwd in the mids and the lows are dc and dmg mod. Simple is part of the glory and the cheapness. And speed. Speed is the key and the faster the better. When hunting FW pilots the key is where they are when you come out of the Acceleration gate and how much attention they are paying to local. If you land 150k from them you can almost count on them getting away 8 out of 10 times, no matter how fast you are. But, if you land 70k or less, the advantage is yours and you'll catch them 8 out of 10 times. Even if you miss the first time, patience is its own reward. Remember your target has a job to do and only a short window of time in which to do it. Using that knowledge against them is the key to real success. The Slasher is a blast to fly. But it isn't the end all to frigate combat. Knowing your limitations and avoiding situations in which those can be used against you is the key. In other words, being smart always works. Another quick one. Yesterday something happened that has never happened to me before. I was out hunting and found an Incursus running a complex. That part has happened before. But the exact moment I got point and fired up the mods, my son came home from school. So I got up and went to the stop to bring him into the house. By the time he got settled and I got back to the computer, the Incursus was dead but I was under aggro from the rats. I managed to get away. But I missed out on killing the pod sadly. I have never walked away from a fight before. I've been killed while being AFK, but never killed anyone while being AFK. Small, insignificant milestone today. Finally hit 1,500 kills on BattleClinic. I was hoping number 1,500 would be something worthy, and for awhile it looked like it might be a Tengu or a Loki. But those guys didn't wanna play and disappeared. So I grabbed my wittle Slasher and went out hunting. Very quiet today, so not much going on anywhere. But I did find a couple of FW Incursus in Jov and started chasing them around. One of them happened to be the "Die Tusker!" Incursus you may remember from a few posts back. Even with the blazing speed of the Slasher it is still hard to get a lock and with my recent unexplained lag issues even harder. ( Lately it seems like every third or fourth attempt is hampered by lag for some reason.) Anyway, I chased and chased. I give Peanuts Butter credit, most pilots dock up or leave, but she kept at it. Eventually though, I was at the Acceleration Gate first and she exploded. I even let her pod go in appreciation. And this Incursus was also named, "Die Later Tusker!" which is just awesome. So thanks Peanuts Butter for being my 1,500th kill in Eve. Now for 1,500 more. There are few things like unemployment and potential catastrophic financial collapse to get you thinking. The mind refuses to stop re-playing and reviewing the past decisions and mistakes that led to the current situation. This is good, if you let it be a positive force in your life. This process isn't intended to be one to use as a crutch, or as an excuse. We do this to clean the garbage, to learn from our choices so that we can hopefully make better ones next time. And that got me thinking about my own journey in Eve this morning. In September I will have been playing Eve for four years. Yesterday I passed eleven months in The Tuskers, the single longest time I have ever been in any Corporation. Even my own. When I started writing Eveoganda almost three years ago I was in Dissonance as part of the Circle of Two Alliance in Providence. What started as a Null-Sec PvP playground quickly turned into a conquest and then failscade. Since then I've started two other Alliances and my own Corporation. Moving from Providence, to the Spire, to the North, to Syndicate, to Rote Kappelle, to Muppet Ninjas, to Curse, to Delve and various points within Low Sec. I've gone from Soldier to Pirate, from +10 to -10. From an FC commanding hundreds and protecting assets, to a small gang leader and now more solo pilot. Lots of changes in such a short time. And quite the journey. That doesn't even count the time before I started writing this blog/magazine/journal. The Null Sec wars, the battles for Providence, the twice over failure of CVA, LFA and Paxton. And more. I think more than anything this chaos led to the current developing play style and the length of time I've been able to devote to a single Corporation. After all the chaos in-game, which happened during an especially stable part of my RL, the tables turned. My RL started unraveling and Eve needed to become more stable. I don't think I could have dealt with both being in chaos. Now Eve serves more as an outlet. A place to escape, to control your own destiny. There is a joy that is undeniable in exploding someone else's ship now, that wasn't the same before. I readily admit to it. And I've become somewhat of an explosion junky, for lack of a better way to describe it. For all my talk of separation lately, of the writer and the pilot being two different people, we do share a commonality that is profound. One serves the other and both of us benefit. And while I am personally unencumbered by the necessity to PvE for example, this act of writing on an almost daily basis, is my own cathartic method. My own PvE. My service if you will. And that act, no matter how trivial or often misunderstood, is an important one. And while its importance may only be relevant to me personally, it is something that I will continue. The journey never ends. Until it finally does. Thus ends the self-reflecting crap. Back to Eve next time, I promise. Time for some culture around here. "I can't keep my mouth shut. People a few seconds away from beating me up have always told me that about myself. So, what IS Eveoganda? I guess the best way to describe it is... well, it's kinda like a magazine. The kind of magazine that you have no idea what you'll be reading about when you pick it up, one article at a time, a weird sorta place to stop on your interweb travels, that hopefully puts a smile on your face, gets you thinking, or shaking your head, or maybe even laughing - either with me or at me, either one is fine." - Eveoganda March 2010, "What IS Eveoganda Anyway?" This is exactly the kind of post what gets me into trouble. I've written and deleted it four times over the past four days and it won't leave me alone. That is exactly the sort of thing that this blog was created for, and yet the same exact sort of thing that often gets me into trouble. And by "trouble" I mean misunderstanding. Because truly all "trouble" begins with bad communication. So instead of talking about the actual trouble, I'm going to talk about the mistake that some people seem to make in regards to this blog. A mistake that often causes issues for me in-game and leads to some rather serious misunderstandings between myself and other pilots. And that mistake is rather simple. Some people tend to confuse the person that writes this blog with the pilot in-game. They are not exactly the same thing. Sure, they share many of the same attributes, mostly deriving from the fact that they are both driven by the same 'user', but they are not the same person. The person that writes this blog is different from the person actually playing Eve. One is writing about the game and one is playing the game. Those are two completely different things. It took some time for me to become used to the differences, so I can see where certain people are having some issues. So let me try and help. 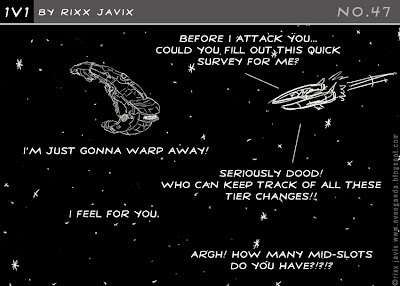 Rixx plays Eve for one primary reason. He flys spaceships to explode those other people flying spaceships. He flies to win. By any means possible. His 'user' also enjoys the graphics, the camaraderie of Corp, the challenges of fittings, etc. 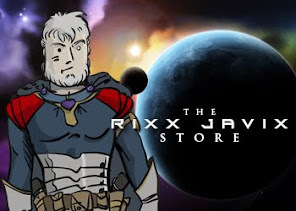 But Rixx in-game doesn't care one whit about purty graphics or the politics of CCP, or anything else to do with anything that doesn't involve exploding other spaceships. His 'user' often pauses and reflects on broken game mechanics, or politics, or something funny and says, "That might make a good post." As I wrote way back in March 2010, I write this blog to entertain, inform and generally amuse myself. I don't write it to be popular, to make you happy, or to further some agenda that you think I should be furthering. I write about what interests me. At the time. This is challenging. I admit that the difference in these two things is often hard to grasp. And this is in no way intended as an apology for anything written in these pages. I take great care in what I write and every word is as true as I can make it when it is written. But it affects the game-play of the pilot Rixx Javix in no way at all. 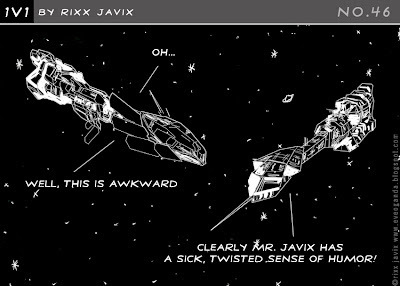 This is the Sports Illustrated of Rixx's career in Eve. We often talk about other things, feature other players, write editorials, examine game-play issues, publish fan art, poke fun at things that need to be poked at, stir pots, and generally try our best to entertain the reader. But Rixx does happen to be the main thing. He is the hero of our story. But in-game, Rixx just wants to explode things. It is always good to see some results from all of your hard work. Getting onto the final month Awards lists for The Tuskers is a huge one. Especially given my limited play time and the fact that some people believe I am nothing more than a Scrub apparently. 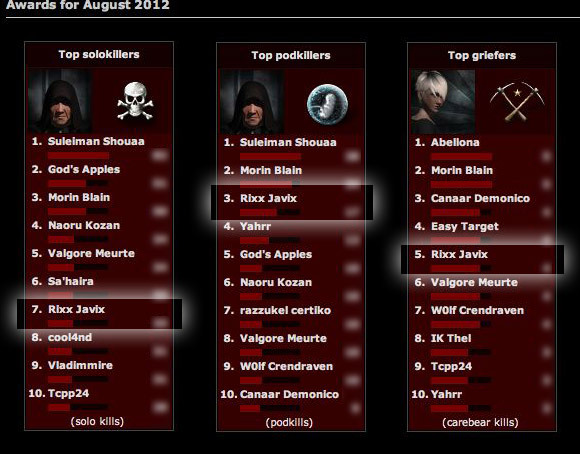 So it was nice to see these results from August 2012. Oh, and for those mentally challenged out there, this is an extremely positive and pro-Tusker post. I'm going to start making sure those are called out. I blurred the numbers, although now that I think about it I believe this page is open to the public. So that was probably silly, but I'm too damn lazy to make this graphic twice.